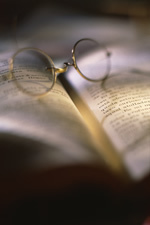 A myopic view, to say the least, but one often expressed, explicitly or implicitly, by large organisations operating channel models combining direct, single-tier and multi-tier sales. Few businesses get to design their routes to market from scratch. They evolve over time and are added to through acquisitions. Even in the best run operations this can result in complication, overlap and conflict, that is to say channel partners of different types competing on price with each other or even with the company itself. This can usually be minimised and problems managed through an effective partner organisation. 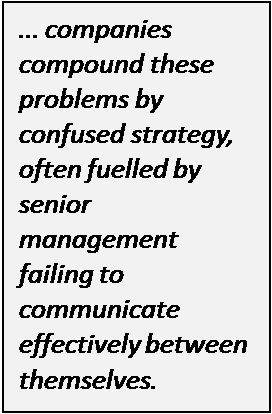 However, some companies compound these problems by confused strategy, often fuelled by senior management failing to communicate effectively between themselves. In a recent example a vendor of high technology equipment sold both through resellers via value added distributors (VADs) and through several large, single-tier partners. The single-tier partners were managed separately for historic reasons and received much better discounts than the two-tier channel because of the high value orders they delivered from large customers. This worked well as long as the two channel types focused on different parts of the market, but latterly the largest partner had decided it could boost revenue by building a reseller base of its own, servicing smaller customers. The discount it enjoyed allowed these new resellers to sell at lower prices than the ‘official’ distribution channel. This led to resentment and confusion amongst the channel partners, plus internal price wars resulting in margin erosion. The problem was allowed to continue by weak management unwilling to face the political difficulties of revising discount structures and rules of engagement. Following some simple guidelines can help avoid these problems. 1. Ensure responsibility for channel strategy is held at executive level. 2. Give members of the executive team responsibility for ‘grandfathering’ relationships with key channel partners of all types. This allows direct, unfiltered feedback to be heard. 3. Hold regular channel strategy reviews at board level. Ensuring all sales channels (direct, single-tier and multi-tier) are considered together allows conflicts to be ironed out before they become serious. This sounds obvious, but many businesses fail to take this holistic approach. 4. Communicate rules of engagement for all channels throughout the organisation. The problems of ‘silo management’ can be particularly acute in managing routes to market, but can often be headed off by ensuring personnel understand the distribution strategy and what the rules are. 5. Keep goaling and reward mechanisms under review. It is all too easy to find that compensation plans reward behaviours that run counter to the overall channel strategy.